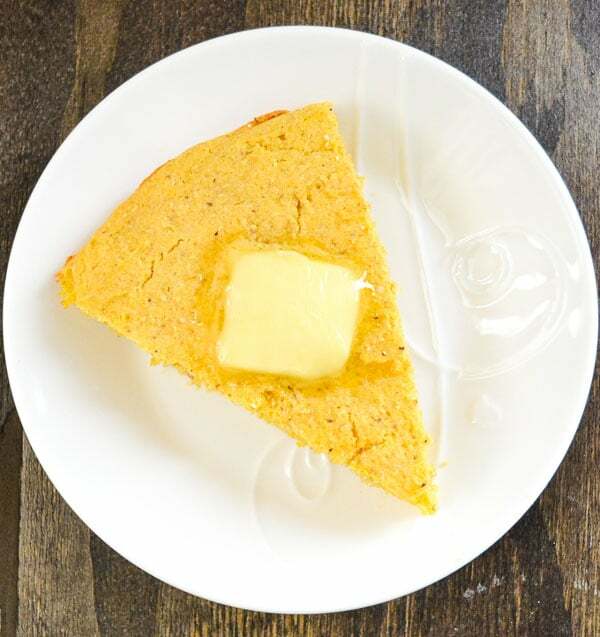 Southern Skillet Cornbread is a delicious and quick side for soups, stews and main dishes. It’s also a great ingredient to use in many other dishes as well! I have early childhood memories of my father cooking skillet cornbread. Every true Southern kitchen has a cast iron skillet and ours’ was no exception. I knew every time I saw that cast iron skillet that he was preparing cornbread; often in the fall and winter months with soup or a square meal. My husband and I inherited a perfectly seasoned cast iron skillet from his family shortly after we married. We use our cast iron skillet for numerous dishes in our home including cornbread. While I don’t make cornbread very often, I definitely prefer the skillet over any other cooking method. Cornbread is an historic staple at dinner tables around the Southern United States. There are a few differences between Southern and Northern cornbread that bear mentioning and make a big difference in taste. First, traditional Southern cornbread does not contain sugar or flour. While I love a sweet corn muffin as much as the next person, it’s completely different from the savory Southern cornbread. 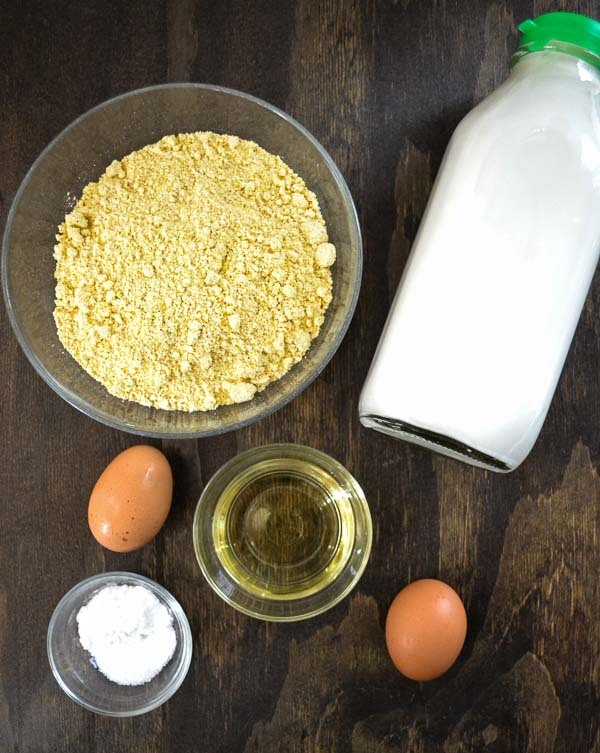 The reason many cooks began adding flour and sugar is that cornmeal production changed in the early 1900’s. The mills switched from stone to steel roller mills resulting in a different cornmeal texture. The change from a stone-ground texture to a finer meal meant that cooks had to add flour to get extra rise in the bread. The steel mills roller mills also generated more heat which affected the corn’s flavor. If you’re interested in the full historical account of changes in cornmeal production, read this Serious Eats article. 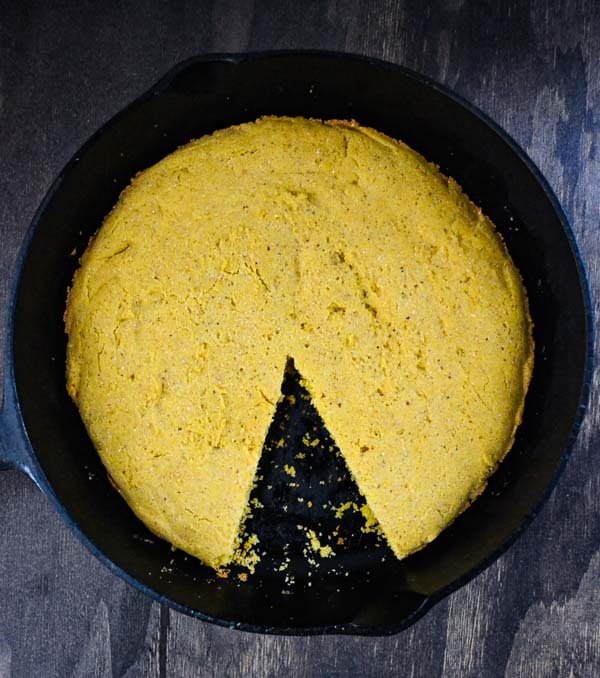 In order to create your own Southern Skillet Cornbread, simply choose a stone-ground corn meal. 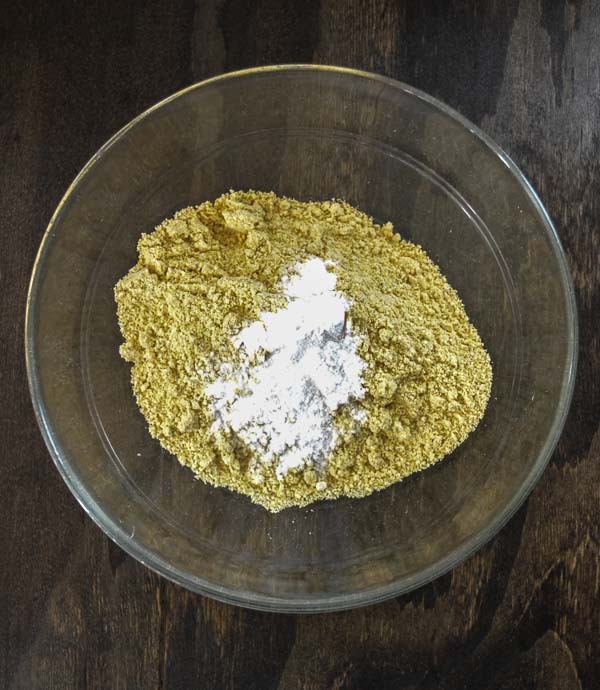 However, if you can’t find stone-ground cornmeal, don’t fret…it will still be authentic using a skillet. First, preheat the oven to 375°. While the oven is preheating, combine the cornmeal, baking soda, baking powder and salt in a large bowl. 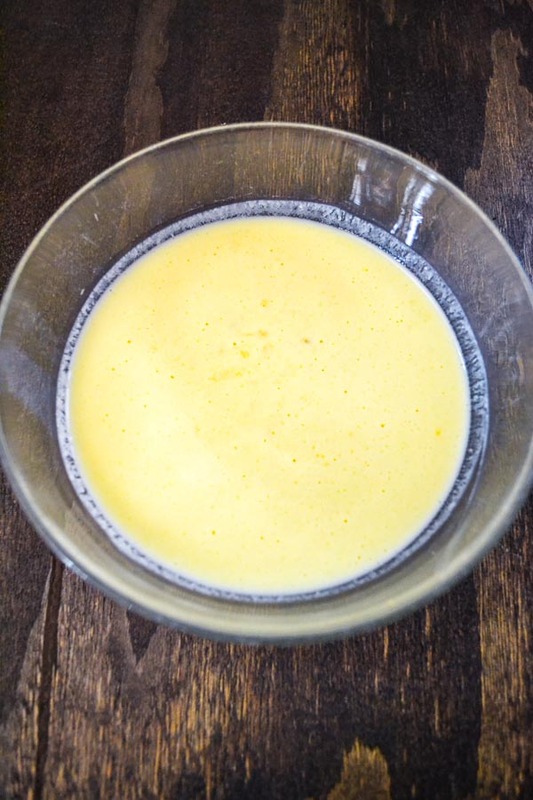 Next, whisk the buttermilk, egg, and egg white in a smaller bowl. Once the oven is preheated, coat the bottom of a 10-inch cast iron skillet with the vegetable oil and place in the oven for five minutes. While the oil is heating, combine the wet ingredients with the dry ingredients into a batter. Remove the hot skillet from the oven and pour the hot oil into the batter. Mix the oil with the batter and pour batter into the hot skillet. Southern Skillet Cornbread is best served straight from the skillet. Simply cut the cornbread into equal wedges and serve alongside your meal. This cornbread is delicious on its’ own or topped with a pat of butter. 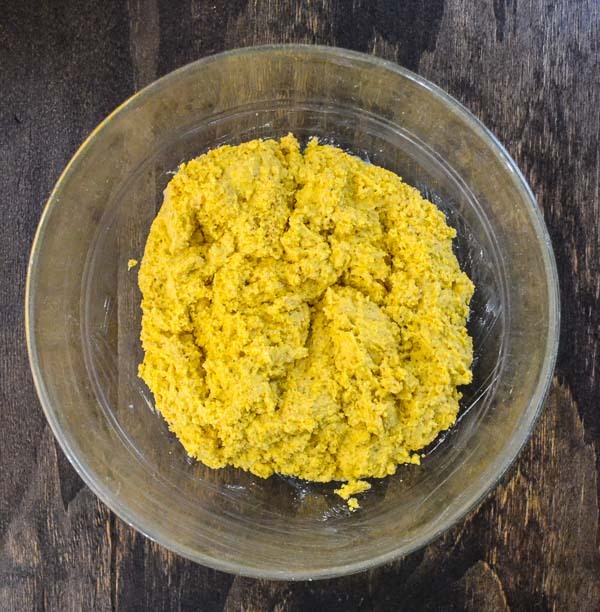 Substitute stone-ground cornmeal with a gluten-free cornbread mix. 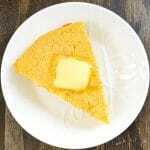 Please let me know if you try my Southern Skillet Cornbread by leaving a rating and comment. I would especially love to hear what foods you like to pair with cornbread! Also, I’ll be sharing some additional recipes in the coming days incorporating this recipe, so look forward to those as well. Southern Skillet Cornbread is a quick and easy bread to serve alongside many soups and main dishes. It's savory flavor makes it an ideal ingredient to incorporate in many other recipes as well. Combine dry ingredients in one bowl. In a separate bowl, mix together wet ingredients. Coat a 10-inch cast iron skillet with with oil to coat the bottom of pan. Heat skillet in oven for five minutes. While oil is heating, combine wet and dry ingredients together into a batter. Remove skillet from oven and pour hot oil into batter. Mix the hot oil in batter and pour batter into skillet. This is the perfect cornbread recipe to use in your Thanksgiving dressing! We’ll be trying this recipe Marisa. effect the flavor. I use a 2% regular milk. Now where is that cast iron skillet? You are right; the buttermilk is a little richer!